Mecar has state of the art facilities for both casting and pressing of explosives. 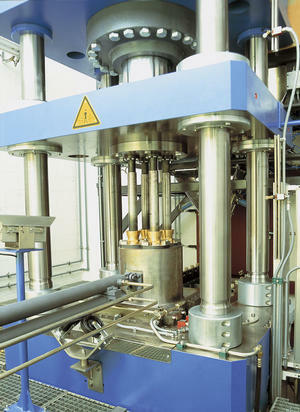 The Pressing facility has a 350 ton computer controlled press with a precision of 0.1mm. This double-acting press is used for HESH and HEAT warheads. The Casting facility is designed to handle anything from a hand grenade to a 155mm Artillery shell. It is fully computer controlled and has 100% process traceability.